A loan of $10,000 helped purchase a food cart, with a smoker, that will allow me the mobility to reach customers outside of my commercial kitchen with my authentic Middle Eastern food. I came in 2012 from Iraq to America as a refugee immigrant with my family. We started our new life by registering our children at school and found a job, which is at Amazon. With luck, I purchased a mobile home and then after four and a half years, my son finished culinary school at Virginia College and we said that it's time to have our own food business. So now our business is a family business. The food is being prepared with so much love and passion. I am very happy because now we work as a family and everyday is like a family reunion. 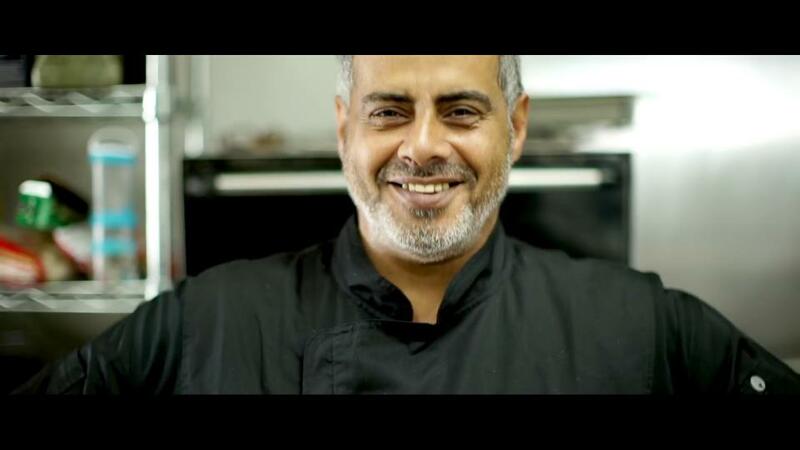 It helps a refugee entrepreneur grow his family owned Middle Eastern food business. Jinan’s Kitchen is a family owned catering service specializing in Iraqi and Middle Eastern cuisine. We were established in 2016 with a vision to spread love and peace through our fresh, authentic Iraqi and middle eastern meals prepared by our Iraqi Refugee Family. All meals are prepared in our commercial kitchen and with the possibility of the Kiva loan, we can use our food cart to bring our passion to the customer. We've seen incredible feedback over the past couple years and customers encouraging me to have a space where they can come and get single portions. I have a commercial kitchen that has not allowed me to do smaller portions or cook a single order of food, on a daily basis. Since there are no table or chairs set up, in my current building, no one can come and eat. With the purchase of a food cart, I'm bringing my food to the people, at various locations around the city. Instead of having to cater for a large event, the food cart would allow me to cook a single plate, with smaller portions, and provide face to face interactions with each customer. Why are you endorsing Abdulwahab? Wahab is a wonderful, local entrepreneur. He and Jinan make delicious food and have an amazing story to tell about how they came to the United States and started their business. Wahab and Jinan are well prepared, having completed various entrepreneur training programs. Their business adds diversity to Chattanooga's food community.